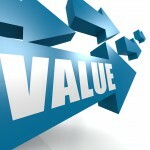 Buyers and Sellers usually have a very different view of the value of a business. Most business owners think their business should be priced more than it’s worth — mainly because of all of their hard work over the years. But they have to realize there are certain economics and realities that dictate the price. Besides the various methods of business valuation, the cash flow ultimately must provide the new owner a return on cash investment, ability to service debt and a reasonable salary for the owner and/or manager. Unfortunately, too many business owners find major disappointment because the marketplace has not accepted their unrealistic asking price.